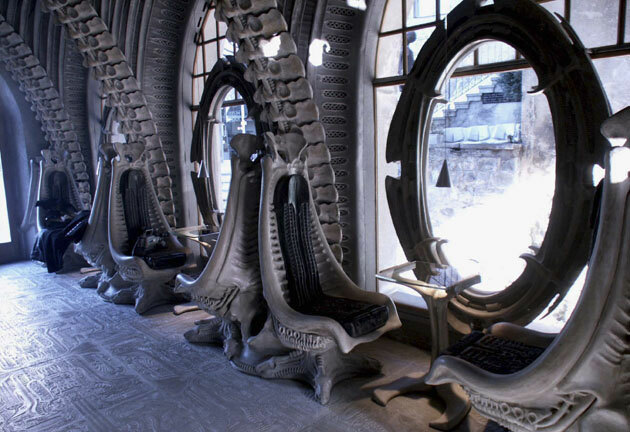 The Museum HR Giger Bar is a stunning bar designed by artist HR Giger (the designer of the Alien film character). 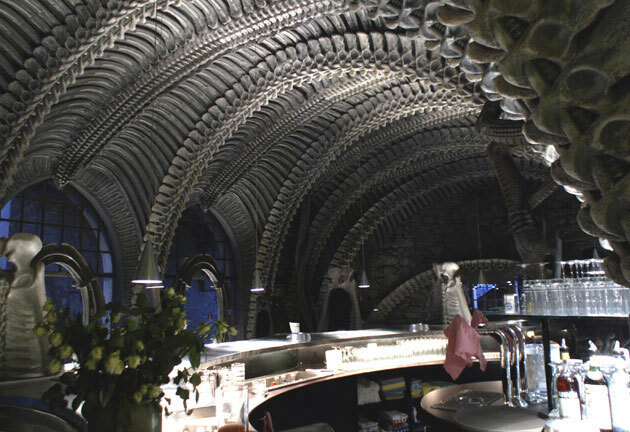 The bar is located at Museum HR Giger in Gruyères, Switzerland (see a brief video of the bar by z0wye and a flickr photoset by Alejandro Pérez). 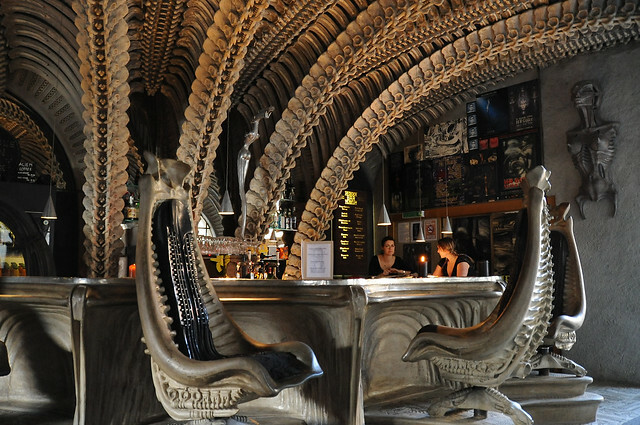 Another Giger Bar is located in Chur, Switzerland.